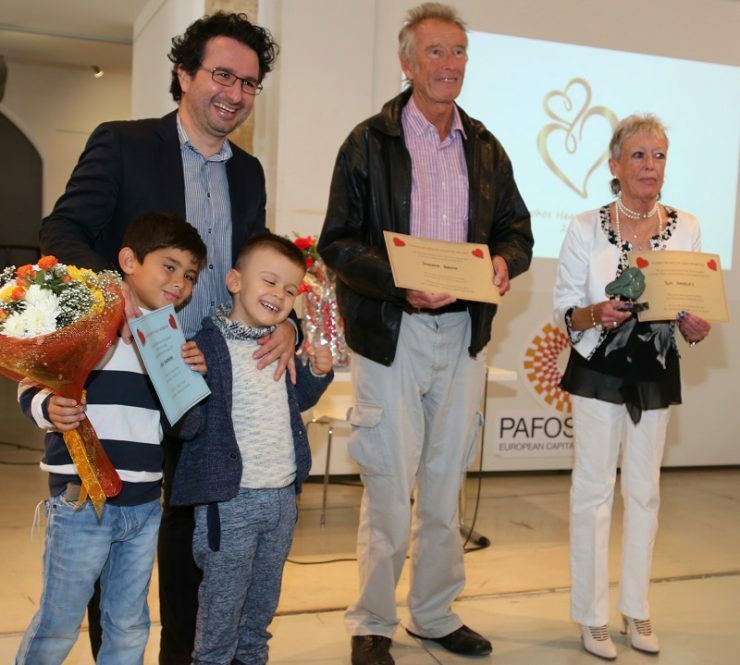 The Hearts of Gold Award Cyprus is a way to thank those children and adults which are extra special in some way. Members of the public can nominate people each year, that they feel are deserving and the winners are chosen by a panel of judges. There are four awards in the 2018 programme, as well as a number of Honourable Mentions, and they are all philanthropic, community-based awards which aim to recognise those who have shown tremendous courage, strength and determination, worked tirelessly within the community or for charities, overcome tragedies with a smile or have simply been a great help and support to neighbours and friends. Every year, we rely on you, the public to let us know all about the people that are doing something terrific or are extra special. Our thanks to you and all of the wonderful people in our community which means we have a reason for these heartwarming awards. Supported by : Paphos Municipality , Aphrodite Jewellers, Massiva Printers, The British High Comission, Romiosini national dance ensemble, Almyra Hotel, Cyprus Mail, Paphos Post, Rock FM, Kivotos Gallery,Chris Hopkins Photography, Cyprus Images Photography, In Focus Films,Kamantarena Winery, Joulietta Chocolatier and Patissier, DCS- durable concrete solutions.